He has sung Tamino in The Magic Flute across New York state, from the Smith Opera House in Geneva to a tour with the Long Island Philharmonic. He has been a regularly featured singer at the Caramoor Festival, with appearances in La gazza ladra (see photo at left), Lucrezia Borgia, and Il pirata. He participated in the Samuel Barber festival at the Kaye Playhouse and was featured on the McGraw-Hill Young Artists Showcase on WQXR. He has performed in rare revivals of important works such as Donizetti's Gianni di Parigi and Martin y Soler's Una cosa rara at the Vineyard Opera, and in Opera Manhattan's productions of Fauré's Pénélope, Hahn's Le Marchand de Venise, and Poulenc's Dialogues of the Carmelites. In the 150th anniversary performance of The Bohemian Girl at the Kaye Playhouse, he sang the role of Thaddeus. 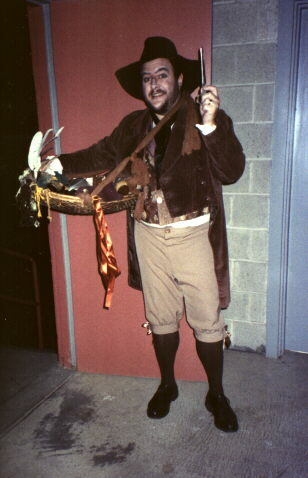 He made his Town Hall debut in Paisiello's La molinara, and his Bronx Opera debut as Eisenstein in Fledermaus.